When talking about the treatment of vitamin B12 deficiency, Methylcobalamin B12 is one of the best forms of Vitamin B12 for the job- despite that your doctor will almost certainly give you inferior forms. While all 3 are called ‘Vitamin B12’, they are not all the same, and Methylcobalamin B12, even though it is technically considered a 'Coenzyme' of vitamin B12, is clearly the superior form and is really the best form that should ever be considered for vitamin B12 deficiency treatment. Although Methylcobalamin B12, also called Mecobalamin and Methyl B12, is the preferred form, most doctors in the US are not educated about the benefits of Methyl B12 therapy, and another form called Cyanocobalamin is the most commonly used in the medical world and is often given as ‘B12 Shots’ in the office for those with certain medical conditions. But cyanocobalamin is actually the worst choice of the 3, even though it is the most widely used. Not only does cyanocobalamin require a higher dosage for the same effectiveness, but the Facts about Vitamin B12 show that it absolutely does not work for many problems requiring Vitamin B12 Deficiency Treatment. Because it is inferior to other forms, it has been repeatedly suggested by several researchers that it be completely removed from the market! While Japan and Great Britain exclusively use Methyl B12 in their prescription formulations, and have removed Cyanocobalamin, US doctors still wrote over 1 1/2 MILLION prescriptions for Cynocobalamin in 2008 alone! So much for the 'evidence based medicine' that doctors claim to use. Why methyl b12 is almost never used by doctors is baffling. Not only is it effective but it is inexpensive and available in both sublingual preparations and injectable form. This ignorance has only hurt the many people that could very well benefit from the Sublingual Methylcobalamin Supplements that would not benefit from the other forms. While Methyl B12 can be used in all situations that call for vitamin B12, it is absolutely the only form that should be used for those with the MTHFR Gene Mutation, and with Mental Changes from B12 Deficiency -including those from Dental Nitrous Oxide and Nipride - which deplete vitamin B12 levels. and that these conditions, in some cases, might actually be undiagnosed Vitamin B12 Deficiency Symptoms and/or symptoms of Aspartame Side Effects- which is detoxified by Methylcobalamin B12- in many, many cases! Alzheimer’s disease is a particularly tragic example of the unwillingness of US doctors to use this vitamin therapy in practice. Several studies have shown dramatic reversal of Alzheimer’s symptoms in a certain percentage of people with the disease, yet most doctors would adamantly refuse to even attempt mecobalamin therapy for this purpose. One of the main ways that methyl B12 works, is through the detoxification of toxic substances in the body. A process called ‘Methylation’ is a critical component of the detoxification process and Methylcobalamin is actually able to replenish the ‘methyl’ portion of the chemical reaction required for methylation. Methylcobalamin is a critical supplement for those with MTHFR Gene Mutations, which makes them unable to detoxify well. But the other forms of Vitamin B12 actually require this methyl donor in order to convert into the active form of Methycobalamin B12 in the blood; therefore, people who already have methylation detoxification problems from MTHFR Gene Mutations or other reasons, like children with autism, or those who have liver problems can actually be made worse if other forms of vitamin B12 are administered! So, if you need vitamin B12 deficiency treatment, it's likely that your doctor is going to prescribe you the WRONG kind of Vitamin B12. When your doctor hands you a prescription or recommends an over the counter formula, make sure that you are ONLY taking Sublingual Methylcobalamin B12. 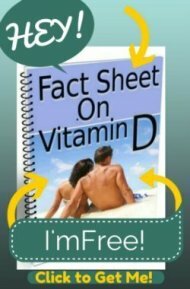 If your doctor tells you that you need to have Vitamin B12 shots, be sure to read about Vitamin B12 Shot Problems and politely decline his shots and simply buy some Methylcobalamin B12 Supplements for your Vitamin B12 Deficiency Treatment or your fatigue or neurologic issues instead- you'll be glad that you did! Methylcobalamin B12 Supplements- Vitamin B12 SHOULD be taken in the form of Methylcobalamin. Don't take anything less! 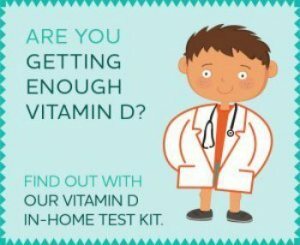 In-Home Vitamin B12 Testing- If you feel that you must get tested for vitamin B12 deficiency, this test is more accurate than a Vitamin B12 Blood test. Could It Be B12? : An Epidemic of Misdiagnoses- If you want to know everything there is to know about B12, this is the book for you. Am I Taking Too Much Vitamin B12? which food would give you the correct type of B12, wouldn't it be better to try to get this B12 from your natural diet if you can?